Our team have tested a wide range of quality air purifier appliances from world-leading power and air conditioning brands, and found the following units to be the best. Read on for full details in our Air Purifier Review 2019. For people living and working in a humid and stuffy climate, while air conditioning will act as a quick fix to the heat-related discomfort, a better long-term solution, particularly if you suffer from allergies or respiratory conditions, is to purify and cleanse the air, which is possible for relatively low costs using the best air purifier appliances on the market. Our reviews team undertook a thorough survey of air purifiers and subjected them to a range of tests, under performance, convenience, design, efficiency and customer support to determine the best air purifier units on the market in 2019. There are a number of key questions that should be asked before you set about buying one of the best air purifier units. Here, are team breaks these questions down, and then, appliance by appliance, shows how each unit answers these questions, and why they can be regarded as the best in their field. Why one of the Best Air Purifier Units? The Environmental Protection Agency studies air quality and has identified that indoor air can be full of various pollutants that can damage our health and also cause issues for those who suffer from breathing difficulties or allergies. The best Air purifier units tackle these pollutants. Which of the Best Air Purifier Units is Right for You? In each category, the higher the score the better the clean air result in your home. The CADR scores on our best air purifier review will also allow you to know what sized room you should use it in. The best air purifiers will also have strong airflows, a term that describes how quickly air moves through the machine. Airflow can help you understand whether a machine is right for your home environment. You should keep an eye out for the best air purifier units that use HEPA filters which perform best at removing particles from the air. HEPA filters are the industry standard, as they can remove particulates that other types of filters can’t match. Some machines use ionizers which can help deliver cleaner air, but need to be monitored as they produce trace amounts of ozone. Some people don’t like the idea of breathing ozone and therefore if you go for one of the best air purifier units that have ionizers, you might want to determine for sure whether the ionizer can be deactivated. Our best air purifier reviews also identified some that that use UV light bulbs but we have questioned how effective this technology is. In testing the best air purifiers, we looked at noise levels, airflow and how much energy is used. You should understand the size of each unit and what sized rooms they are suitable for. The best Air purifier units are not too noisy but you will be aware of their presence. You might want to know how loud a machine is if it is intended for bedroom use. When choosing the best air purifier unit for the bedroom, make sure its lowest setting produces under 30 dB, which is about as loud as a whisper. Also, be aware of the level of airflow produced as well as the amount of energy that each machine will use when operating on its highest settings. This aspect will give you an idea of how much you can expect to spend every year when the machine is operating. What Should You Look for in the Best Air Purifier? You need to look at the size of room a machine is designed for. There is no point buying a machine that is designed to work best in a space that is smaller than the room you require it for. However, you don’t have to worry about buying one of the best air purifier units in our review that is too powerful for a given room. Selecting one of the best air purifier units that are high-powered is preferable if you suffer from allergies, as it can clean the air in a room, a process also known as an air change, multiple times in an hour. Keep an eye out for CADR specifications as this will allow you to identify how strong a machine will be at taking dust, pollen or smoke from your air. If a machine has a high CADR score it will be better at taking such unwanted presences from your environment. The best air purifier units will have a strong airflow. Note how many air changes a machine will do per hour. Also keep an eye on the number of air cycles on each device. All those machines from our review use HEPA filters which will take most smaller air particles from the air. This is an industry standard filter which you should consider having. Some machines use pre-carbon filters which are designed to eliminate larger particles and tackle odors. There are a number of alternative cleaning features in some machines such as ionizers. As discussed these can produce ozone which can be potentially harmful. If a purifier has an ionizer you should identify if it can be turned off during use. Some machines have extra features that can be very useful. Keep an eye out for modes such as sleep, quiet or auto as these can help to both ensure the machine gives you extra comfort but also saves money and energy. When purchasing a machine, you will want it to fit nicely in your home and be easily moved from room to room. The size of unit and how heavy it is is something you should pay attention to. These machines will work best when then are positioned in a room with plenty of space. You won’t want to be disturbed at night so you will want to be fully aware of how much noise a machine makes when running. These machines do emit different levels of noise depending on size and spec but do be aware that the average noise levels is about 30 dB so use this level as a guide. You will also want to know that your new machine is not going to cost you a fortune to operate. These machines will never be overly costly to run but as with all devices that use electricity there will be a cost depending on how often you use it. If you choose a device that doesn’t use too much energy you will save money. Products that come with an Energy Star rating will score best in terms of cost efficiency. They are generally 20 to 30 percent more energy-efficient than what federal standards require. If a product doesn’t have an Energy Star rating you will find it is not as efficient and will therefore cost you more to operate. You should also look out for other specs such as UL and CARB designations as there will tell you if the unit you choose is a strong performer in terms of how safe it is to have in your home. You may find on occasions that problems are found or faults are identified in your new device. You will therefore want peace of mind that the warranty offered is a good one. Keep an eye out that the user manual is available to download online. We often misplace these important booklets so having a backup copy can be very useful. An FAQ section on the website can also be a very useful offering as it will tend to answer any of those common user questions and can help you get used to your machine. Most of the best manufacturers also have a live chat function which allows you to communicate directly with a customer support rep. Also look at how easy the company can be contacted online via email or by telephone. We found that the Coway AP-1512HH, the Whirlpool Whispure AP51030K and the Idylis AC-2118 are the three best models on the market today. They will clean the air well and have a number of extra modes and features that will be very useful. We gave the Coway AP-1512HH our Gold award due to the fact that it is easily transported around your home, has all the convenient extra features we looked for and saves you money on your energy bill. It is not too heavy and has timers, auto modes and the ionizer function. Of all the machines we reviewed this is the most energy efficient. The Silver Award went to the Whirlpool Whispure AP51030K because of the fact that it has a really strong CADR score, is quiet when running and offers some of the extra operation settings we looked for in the best machines. Its high CADR score is the best out of all the reviews we conducted. This means that it’s highly capable of removing indoor pollutants from the air in your home which is the main thing you need to look out for. It also scores really well as a very quiet air cleaner meaning you don’t have to be worried that it will cause you to be disturbed at night. Its programmable timer and sleep timer are both convenient features that let you use the machine right when you want to. Finally the Idylis AC-2118 received our Bronze award because we considered it to be a versatile air purifier that includes versatility as well as having extra features that make good machines stand out. It also scored well in terms of its CADR and user functions.It includes an auto mode to switch settings based on the air quality, a sleep mode to clean the air while you sleep without disturbing you, and a programmable timer that you can use to schedule specific cleaning times on specific dates. • Air filter is highly effective, especially in small spaces. • Auto mode senses air quality, and adjusts settings. • Compact, portable and easily stored. • The CADR score of the Coway AP-1512HH is not the highest. • The Coway works well only in small to medium sized spaces. • Lack of sleep mode is a little disappointing. The Coway AP-1512HH comes out on top of our reviews due to the fact that it is a very strong air purifier, is designed to save money and energy and is nicely compact. Our investigations into the Coway AP1512HH air purifier noted that its air filter will take care of any indoor pollutants efficiently. The Coway AP1512HH is a small machine, which will not make too much noise and will easily remove air pollutants. Whilst it doesn’t have a top Clean Air Delivery Rate it does combine good cleaning aspects and is easily portable. We awarded the Coway AP1512HH air purifier our Gold Award. The Coway AP1512HH air purifier will clean air in smaller spaces. It will work well sizes up to 360 sq ft but isn’t as efficient in bigger rooms. Using a four-stage filtration process the Coway AP1512HH has a washable filter that will remove hair or dust from the air as well as doing a great job at removing certain odors. The True HEPA featured in the Coway AP-1512HH will capture very small particles and has an optical ionizer which charges outgoing air. In terms of CADR the Coway AP1512HH air purifier is not as effective at removing pollutants in your home as others we reviewed but still does well. Our Coway AP1512HH reviews did note the fact that it doesn’t feature a sleep mode but does come with an auto mode that allows the machine to sense the quality of the air in your room and adjust its settings accordingly. The Coway AP1512HH is small and lightweight and one of the most compact machines that we reviewed. Weighing only 15 pounds, our Coway AP1512HH reviews noted that it is actually the second lightest machine and one that can be transported easily. The Coway AP-1512HH allows you to set a time to control how long the machine operated. It can run for up to eight hours and at its highest setting will not produce excess air. In fact, the Coway AP1512HH air purifier only emits 58 decibels meaning you shouldn’t notice the machine when its working to clean your air. Included is a filter monitor that will allow you to keep track on when you need to the filter. Filters need to be replaced regularly so this is a useful feature. There is also a pre-filter included which will capture smaller particles and means the life of the machine is prolonged. There is no remote control included. The machine is Energy Star verified and rated to use up to 77 watts at its highest setting. We identified that during testing the machine only used 59 watts which makes it extremely efficient. Our testers estimate that the machine should only cost around $27 to operate per year. It has a AHAM and ARB cert meaning you have peace of mind that your air quality will be good. There are some excellent customer support services offered. You have a three-year warranty on the machine and you can contact representatives by email or phone or simply download the user manual. There is no FAQ section or a live chat option meaning you may have to answer your own questions. The Coway AP-1512HH is the best machine from our reviews and will clean well and efficiently. It is neat, compact and very quiet and it does a great job at filtering you air. It is one of the most efficient machines we came across and comes with a number of the industry led certs. For a small to mid-sized room we believe this machine is a great option for you. • Energy-efficiency is tested and verified and is just as good in small spaces as large. • Five air changes per hour is great for users with allergies or respiratory problems. • Lack of features that are standard are on some other models is a bit disappointing. • The Whirlpool Whispure AP51030K lacks auto mode, ionizer, and a remote control. The Whirlpool Whispure AP51030K is a powerful machine that works well for those who suffer from allergies. It will clean large rooms well. It boasts the best clean air delivery rates of those we reviewed and will be excellent at removing pollutants from your home. The Whirlpool Whispure AP51030K air purifier does lack some of the convenient features seen in other models but it is still worthy of receiving our silver award. The Whirlpool Whispure AP51030K will clean rooms of up to 490 sq ft but can still be used in smaller spaces efficiently. It will also effectively remove smaller particles from your air. In working mode, the Whirlpool Whispure AP51030K makes five air changes every hour and is therefore ideal for anyone suffering from allergies or breathing problems. It uses HEPA filters, which will take the smaller particles from the air but only has two cleaning stages, or filters, to remove particulates from the air. Other machines scored better in this regard. The Whirlpool Whispure AP51030K air purifier comes with a sleep mode that means you can use it efficiently as you sleep. It doesn’t come with an auto mode, however and also doesn’t feature an ionizer. The lack of extra features is one of the drawbacks as identified in our Whirlpool Whispure AP51030K review. The Whirlpool Whispure AP51030K air purifier is a neat size but is one of the heaviest from our reviews, coming in at 20 pounds. One of the quietest machines available, certainly the quietest of the air purifiers that we reviewed for this post, the Whirlpool Whispure AP51030K produces just 55 dB of noise, which is remarkably quiet. It’s a very convenient unit that includes such handy features as a timer that enables you to set operation times. There is also a monitor which identifies when filters need to be replaced. This is an important feature. However, there is no remote control, which is included with some other units, and which can be a useful tool. This is an Energy Star-verified air purifier, which means that it meets efficiency requirements and uses less energy.The Whirlpool Whispure AP51030K will use about 118 watts on the highest setting, and we estimate that the machine will cost less than $40 to operate every year. Any industry certs are present with this machine, including AHAM, ARB and UL listing. All of this means that the Whirlpool Whispure AP51030K is fully tested. It will not be detrimental to the air quality within your rooms, and in general is a very safe device to have in your home. There are some great support services offered by Whirlpool. There is a five-year warranty should anything go wrong. This is actually the longest warranty offered in the industry. The company can also be contacted by email or phone but the live chat service is not offered in this instance. Should you lose the owner’s manual you are in a position to download another from the company website. There is no FAQ section on the site, meaning that troubleshooting any problems with your appliance will not be easy. The Whirlpool Whispure AP51030K is in the top tier of air cleaners. It has powerful cleaning ability and one of the best CADR scores out of all the machines that we reviewed. It will do an excellent job at taking pollutants and particles from the air in your home. Only the lack of a number of extra features that are found on other appliances marked it down. However, our reviewers can guarantee that choosing this machine will be a good choice and one that will give you fresh, clean air in your home for a long time. • A rare combination of richness in features along with energy efficiency. • Noise level is pleasantly surprising for a machine of this size — just 60dB. • While lightweight, its bulky dimensions might make storage a difficulty for some. The Idylis AC-2118 does a great job at cleaning air in your home and boast a number of handy extra features. The Idylis AC-2118 air purifier uses industry standard technology along with a very sophisticated extra setting to create a powerful machine. It scores above average in terms of CADR which means it will effectively remove smaller particles from your air. Our Idylis AC-2118 review identified some extra features. Overall, we awarded this device our Bronze Award. The Idylis AC-2118 clean rooms of up to 465 square feet. Perhaps inevitably, if you try to use it in larger rooms than this, its cleaning ability starts to diminish somewhat. The machine will change the air every four hours and is therefore ideal if you suffer from breathing difficulties. The Idylis AC-2118 air purifier also features two cleaning cycles. A carbon pre-filter will take larger particles from the air and will also ensure your filter lasts. A HEPA filter will take care of those smaller particles and prevent the filter from clogging. It does not include an ionizer cleaning stage, however. Our Idylis AC-2118 reviewers noted the auto mode setting on the purifier, which allows the machine to automatically operate when it senses poor air quality. There is also a handy sleep mode which allows you to have clean air as you sleep. This setting is not noisy and will also save you on energy usage. The Idylis AC-2118 is one of the largest machines that we reviewed for this post on the best air purifiers, but at only 19 pounds it’s actually very lightweight compared to others. Storage may be an issue due to its size, so you will want to ensure you have plenty of storage space in your home. For all the bulkiness, though, the Idylis AC-2118 air purifier emits just 60 dB of noise when operating which is very quiet and ideal for home use. Another thing that our reviewers noted about the Idylis AC-2118 was its incredibly effective timing system. You can set the machine to run for up to 8 hours, as well as when to turn on or off. The presence of a filter monitor is also very useful and will let you know when filters need changing, saving your machine from long term damage. There is a remote control also making operation that bit easier. The machine doesn’t use a lot of power despite the number of extra features it boasts. Our reviews team for the Idylis AC-2118 noted that the machine uses only 78 watts, which is quite a bit superior to some of the other air purifiers in our review post. This purifier is also Energy Star rated and boasts other industry certs such as AHAM and ARB, which means it does not damage air quality, and if you are ecology-conscious, this would be a particularly good machine for you to consider. The Idylis AC-2118 comes with a five-year warranty that protects you against manufacturer defects. The company website gives easy access to all manuals should you have any problems with your machine. There is also a useful FAQ section on the website which should answer any operation questions you may have. You can also contact customers support either by phone, email or using a live chat service. We consider the Idylis AC-2118 to be a powerful air purifier that will clean fairly large spaces safely and effectively. It will work well in rooms up to 465 sq ft. The number of extra features that come with the unit make it easy and effective to use but its size does make storage an issue in your home. If you suffer from breathing issues this is a good choice. Overall, a very good air purifier to have in your home and worth considering. • Energy Star-certified, efficient device. • Beautiful design really sets it apart. • The unit lacks certain industry certs. • Lack of a timer is a bit disappointing. The RabbitAir MinusA2 SPA-780A is very well designed and has the most unique look from all those we reviewed. It is a very quiet machine and looks great in your home. You can customise the front panels to adapt to a look that will suit your individual space. It is also excellent at cleaning smaller sized rooms and boast some great unique working features. The RabbitAir MinusA2 SPA-780A will work well in rooms up to 300 square feet. It will therefore work best in small rooms – using in larger spaces can result in its working potential being lessened. The RabbitAir MinusA2 SPA-780A air purifier will change the air quality three times every hour and is a particularly good machine for those who suffer from breathing problems. The RabbitAir MinusA2 SPA-780A uses six filters. A washable pre filter comes first which catches most large particles. Then you have a HEPA filter which will catch smaller particles. In the fourth stage air will move through the RabbitAir MinusA2 SPA-780A air purifier’s four custom filters that you have a choice of when making a purchase. These include special filters that tackle the likes of germs, allergies, toxins and various odors. You can choose your filters based upon your needs. The final two steps see a carbon filter and an optional ionizer tackle strong odors. The RabbitAir MinusA2 SPA-780A can be mounted on a wall giving you extra choice as to where you place it in your home. The custom panels which feature a range of famous artworks make it almost look like a hanging painting. There is the air-quality sensor on the front. The RabbitAir MinusA2 SPA-780A review also features a lighted bar which will change colour to indicate when you reach certain levels of poor air quality and informing you when you might need to use the machine. A filter monitor will tell you when you need to change filters and the RabbitAir MinusA2 SPA-780A air purifier also comes with a sleep mode to give you extra comfort as you sleep at night. The RabbitAir MinusA2 SPA-780A review noted that the machine is Energy Star verified. We found the unit uses about 95 watts on its highest settings, which is just above the average consumption of the models we reviewed. The machine is also certified by the California Air Research Board. Therefore it will produce almost no emissions when in working mode. It is not AHAM verified, however. The machine also lacks an operation timer, which prevents you from kicking the machine into action at different times of the day. It does feature an auto mode which means it will sense when the air quality if poor. In terms of support this machine offers a wide range of support options to answer any questions you may have. There is a useful FAQ section on the website and you can download the user manuals online. Customer support reps are always on the end of a phone, can be contacted by mail or via a useful live chat facility. The MinusA2 has a five-year warranty, which gives you plenty of time to take care of any manufacturer defects. Our reviewers were really positive about this machine. They found it to be extremely well designed and almost aesthetic on levels. As an air purifier it will work really well in smaller sized rooms but won’t be as efficient if you try using it in larger spaces. It is lacking certain industry certs and doesn’t have an operation timer but its other features and user friendly settings make it a good choice for your home. • Some useful extras included, such as auto mode & remote control. • Not especially versatile; works well only in larger spaces. • Lack of an operation timer prevents flexibility of usage. The Winix FresHome P450 is a great machine. It will take pollutants from the air in your home very efficiently but it doesn’t offer some of the extra features seen in other models. 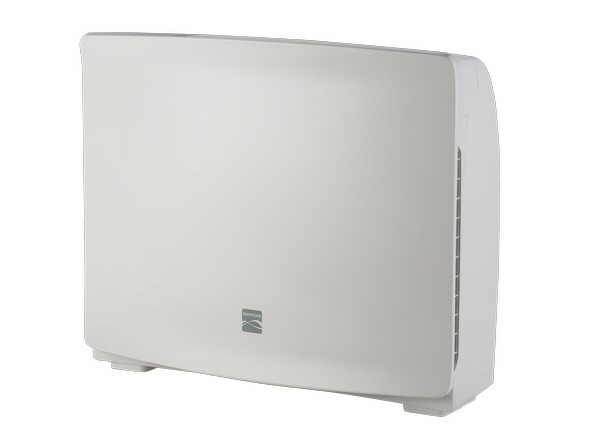 The Winix FresHome P450 air purifier works best in larger sized rooms. It uses the HEPA filter and is designed to conserve energy. It does feature a number of extra feature that are useful – the auto mode and remote control were among the particular features noted by our Winix FresHome P450 reviewers. The Winix FresHome P450 doesn’t feature an operation timer however. This is a machine that scores well in terms of CADR which tests how well the machine will remove smaller particles from the air. The Winix FresHome P450 air purifier will work well in larger rooms up to 450 sq ft but it can be used in smaller rooms also. It will change the air in your room four times every hour. Our Winix FresHome P450 reviewers noted that in terms of CADR, the humidifier is perhaps not the best machine on the market. However, it is still a reasonably solid performer, and our reviewers are of the opinion that this machine is one of the best air purifiers on the market for cleaning the air in your home. The Winix FresHome P450 air purifier uses a special filtration system that will remove dust and other allergens from your home. In its working mode it will remove larger particles first using a disposable carbon filter and follow up by using the HEPA filter to remove those smaller particles that can aggravative the lungs. The Winix FresHome P450 also uses a special Plasmawave form of technology that will give any leftover particles an electromagnetic charge making them easier to catch when the machine kicks into its next working mode. The ionizer can be turned off should you not wish to use it. There is a special filter monitor and an air quality system present in this machine. The auto mode will test the air quality and will inform the machine as to the settings that will work best to clean the air in your room. This means the machine is a great choice in terms of efficiency. At night, the machine senses less light and enters its version of a sleep mode, which turns down the fan and dims the panel lights. However, the purifier does not have an operational timer to let you set when it runs, which would increase its convenience and energy savings. When it comes to customer support the company offers a number of options. There is a three year warranty on the machine – not the best on the market but acceptable. You also have the facility of downloading a user manual online should you lose the hard copy. You can contact the company directly either by phone or email but the useful live chat option is not present. There is also a good FAQ section on the website that can answer some of your basic questions before you need to reach out to customer support. This is a very good machine for cleaning the air in large room and for taking out any allergens, bad smells and dust. It is not the best machine that we reviewed when compared to some of our top performing purifiers but as a quality machine this is still a great option and worth considering. It does lack certain useful features that some of the best machines offer but overall this is a well-built, effective and safe machine to have in your home. • Really strong purifier that removes even smallest particles from the air. • Customer service is particularly good, and warranty cover is for five years. • The pre-settings of this unit might be a little basic and confining for some. • Lack the kind of features that make its competitors more attractive. The Honeywell HPA300 will be an effective choice when it comes to removing smaller particles such as smoke dust from air in your home environment. It does lack a number of the extra features our review team noted in other machines but it will work well as an air purifier. The Honeywell HPA300 air purifier does what it is designed to do. It will take smoke or dust from your home effectively but it misses other features that others appliances do offer such as time settings. When purchasing air purifiers for larger spaces you sometimes find that machines are large and don’t look well in your room as well as being quite noisy. The Honeywell HPA300 review noted that isn’t the case here. The machine does not produce excess noise, has easy to use side handles and doesn’t look or feel bulky. The machine doesn’t feature some of the useful extra features seen in other models, however. There is no auto mode, no sleep mode and the Honeywell HPA300 doesn’t come equipped with a remote control. Despite this negative aspect we found the machine does operate well and will easily remove particles and odor from your home very effectively. The Honeywell HPA300 review noted that the machine is very strong at taking dust from your air and performs best out of all the machines we reviewed in this regard. The Honeywell HPA300 will also work powerfully to remove smoke particles but isn’t great at capturing pollen when compared to certain other machines. The device will effectively clean the air in rooms up to 465 square feet. In larger rooms than that, it starts to lose its effectiveness at removing airborne particles. The Honeywell HPA300 air purifier has the capacity to change the air in your room five times every hour, meaning it pushes all the air in the room through the filters once every 12 minutes. There are three air cleaning levels which will enable you to switch between separate airflows which the filter has to deal with. The air purifier doesn’t come equipped with an air-quality sensor. This can come in useful as the machine could thereby test the air for quality and let you know when it needs to be fixed. Some other machines do have this feature. Our Honeywell HPA300 reviewers were pleasantly surprised that the machine does have an operation timer, which can set by the user to run for two, four or eight hours. There is also the presence of a filter monitor so you will be able to easily know when it is time to give your filter a change. As was mentioned before, the Honeywell HPA300 air purifier does not come with a remote control. This can often be a useful addition as it would allow you to change the settings of your machine from the comfort of your armchair. The customer support offered by Honeywell is very good. There is a strong FAQ section on the website which should give you the answer to any queries you may have. You also have the option to contact customer support via email or by telephone. It should be noted that the handy live chat option is not offered in this instance. The HPA300 comes with a five-year warranty, which protects you against manufacturer defects. This machine is a very strong air purifying device that will take smaller particles from the air in your home with easy. It does lack a number of the extra features we looked for and is not great in terms of its pre-settings. However, all in all it scored well and we believe it would be a very good purifier for your home. • Quite a powerful unit, making 4.6 changes of the air in the room per hour. • This Electrolux unit has one of the best CADR scores on the market. • Lacks features such as operational timer. The Electrolux PureOxygen Allergy 450 will clean the air in your home very well. It is fairly large in size and slightly bulky and also doesn’t offer an Energy Star rating which is why we marked it down slightly. The Electrolux PureOxygen Allergy 450 air purifier is quite a powerful unit. It wil easily clean indoor air in your home. However, it misses a number of the extra features that we looked for in other appliances. Our Electrolux PureOxygen Allergy 450 review noted that is has one of the best CADR score out of all the machines we reviewed. The Electrolux PureOxygen Allergy 450 review noted that the machine has the power to make 4.6 changes of the air in your room every hour meaning you will always have fairly clean air when it is operating. The Electrolux PureOxygen Allergy 450 air purifier avails of a five-stage purification system which effectively removes unwanted elements from the air. The first step sees air move through a filter that is washable. This filter is also coated with a special antibacterial substance that further removes any organic elements. The next step in the Electrolux PureOxygen Allergy 450 cleaning process sees the use of a HEPA filter which will capture very small particles from the air. Then comes a carbon filter which is designed to reduce bad smells. Finally, a special PlasmaWave fan acts as an ionizer. Unlike others, this ionizer can’t be turned off. It should be noted that ionizers have been heavily scrutinized for their effectiveness and safety concerns in the past, which is why the best air purifiers at least give you the option to turn the ionizer off. The Electrolux PureOxygen Allergy 450 features an auto mode which will allow the devive to sense the quality of the air and ensures that the machine is working efficiently. It also includes a sleep mode that reduces the air purifier to its lowest settings so it doesn’t disturb you while you sleep. Unlike other devices we saw, our Electrolux PureOxygen Allergy 450 review noted that the machine doesn’t not feature an operational timer which would allow you to decide and programme when the machine kicks into operation. The Electrolux PureOxygen Allergy 450 air purifier is a large machine that matches the level of power produced. Weighing in at 19 pounds, this machine is one of the heaviest we reviewed, meaning it is somewhat difficult to move around and making it stand out in your home. Our Electrolux PureOxygen Allergy 450 review noted the fact that the machine doesn’t feature an Energy Stat verification nor does it have an AHAM verification. In terms of customer support this machine includes a one-year warranty which should be noted as the shortest time we have seen for air purifiers. The company does offer some good support options including the downloadable manual on its website as well as a comprehensive FAQ section which will answer any questions you may have. Customer support can also be contacted directly by either phone, email or the useful live chat option. The Electrolux PureOxygen Allergy 450 is considered by our review team to be a very strong and powerful air purifier for taking unwanted pollutants from your home environment. The operation modes that it offers including sleep or auto mode can be very useful but the machine doesn’t offer a timer that allow it to be programmed. It should be noted that this machine is one of the biggest machines and is also quite heavy making its portability not as easy. • Lightweight design and handsome design aesthetic. • A decent level of after-sales service and support. • This appliance has quite a surprisingly low CADR score. • Pretty ineffective in spaces larger than 256 sq ft. The Heaven Fresh NaturoPure HF 310A has a nice, neat design but it doesn’t feature some of those useful extra settings that some of the other units we reviewed did offer. The machine uses a five-stage purification process but lacks the impressive CADR scores or the certifications we look for in our testing process. Heaven Fresh NaturoPure HF 310A air purifier is very small and easily moved around your home. The five-stage filtration system which the Heaven Fresh NaturoPure HF 310A review identified noted that the machine uses three separate filters and two technologies that we found to be almost useless and potentially dangerous. There is an HEPA filter which will take smaller particles from the air. The carbon filter will attempt to eliminate odors from your rooms as well as unwanted gases or chemicals. The third filter is a TiO2 filter which is turned on by UV light to destroy bacteria, mold and other organic pollutants. The Heaven Fresh NaturoPure HF 310A has an ionizer that charges particles as they pass through the system to make those particles easier to catch on the next pass and this ionizer has been tested by the EPA for its effectiveness and potential side effects. Finally, the Heaven Fresh NaturoPure uses a UV light to attempt to destroy a number of microbial contaminants. Our Heaven Fresh NaturoPure HF 310A review noted that this method of air purification for home air purifiers is generally considered useless. The five-stage purification process seen in the Heaven Fresh NaturoPure HF 310A did not score well in terms of CADR. Our team found that this machine will not do a great job at taking pollutants from your home. It will work effectively in a room up to 256 sq ft. However, it is designed to work in bigger spaces and this does not happen. Our team looked for convenient features in our review testing and noted that the Heaven Fresh NaturoPure HF 310A air purifier lacks a number of those features that other machines do have. It doesn’t offer a remote control, which would add an extra layer of convenience. The Heaven Fresh NaturoPure HF 310A review did note some helpful features such as an auto mode that will allow the machine to test the air and identify the best settings to operate. It also has a sleep mode which is not offered by some other machines. In terms of size, the Heaven Fresh NaturoPure HF 310A air purifier is the smallest that we reviewed so it can be transported from room to room fairly easily. We did find that the control panel is a bit difficult to use and doesn’t feature enough button options. This model also lacks certifications from Energy Star, AHAM, ARB and UL meaning there are certain questions in our mind in terms of industry standards. The customer support offered by the company is fairly good and the device is covered by a 3-year warranty should anything go wrong. You can contact customer support though telephone or email and there is the very useful live chat option also. The FAQ section of the website is strong and all manuals are downloadable from the website. This machine does not score well in terms of its CADR score. You will get some results but it wont do well at removing many of the pollutants that other models shift. We liked the lightweight design but noted that it didn’t have the power, efficiency and certifications of the best air purifiers. • Works rather well in rooms up to 318 sq ft.
• Lacks auto and sleep mode features. Kenmore 83396 is a strong performer when it comes to cleaning the air in smaller spaces but it does lack a number of the features that other models did offer in our reviews. The Kenmore 83396 air purifier doesn’t have the best CADR score from the others in our review so it won’t do as great a job at removing unwanted pollutants from your home. It will work well in rooms up to 318 square feet, and will make just about three changes to the air in your room every hour. Again, this air change score is not as good as others we reviewed but it will still do an effective job in your home. The Kenmore 83396 review showed that this machine boasts an optional ionizer which can give our potentially harmful ozone. If you don’t want to use the ionizer you don’t have to. Unlike other machines in our review, the Kenmore 83396 air purifier doesn’t give you the option of using an auto mode which would allow the purifier to identify how much the air needs changing and adjust the settings of the machine accordingly. The Kenmore 83396 does not have a sleep mode which can be a very useful addition as it would change how the machine operates during sleeping hours. Whilst this marked the machine down in our scores our Kenmore 83396 review did note that the unit has an operational timer which will allow you to set the unit to power up at certain times in the day ensuring when you return home, the air is clean and fresh. The Kenmore 83396 air purifier is not a big machine. In fact it is one of the lightest machines we reviewed and weights just over 17 pounds. This means you will find it very easy to move from room to room in your home as you require. In terms of size, the Kenmore 83396 is not a big machine and should discretely fit in your home. It also doesn’t emit loud noise and actually performs betters than many other in terms of decibel levels, emitting only 62 dB. The Kenmore 83396 review showed that the machine does come with an Energy Star verification which will tell you that it will tend to be quite efficient when it comes to the amount of energy used. Our review of the Kenmore 83396 air purifier tells us that the machine should not cost more than $40 to operate over the course of the year. When it comes to verifications and industry standards we note that the machine is AHAM verified which means it has been tested well and can perform to very high CADR specifications. The customer service offered by Kenmore isn’t the strongest out there. It only warrants this machine for one year, which is the shortest warranty we have found for air purifiers. You don’t have the option to download the user manual online although the usual customer support contact points are there. You can contact the team by email, by phone or by the live chat function. This is a strong air purifier but it doesn’t offer the strongest CADR ratings we found. This means it won’t be as good at removing pollutants from your air particularly if you are trying to work it in a larger space. We were also disappointed by the level of customer service offered by the company. However, the fact that it is a small, neatly designed machine is worth noting, as is the fact that it doesn’t make too much noise. • Auto mode is excellent for pollutant detection. • Sleep mode is another fantastic feature. • Quite loud machine for small spaces. • Doesn't have the highest CADR scores. The Vornado AC 500 is designed to work in both midsize rooms and will also be efficient at working in smaller spaces. It does lack a number of the features that other models did offer in our reviews. The Vornado AC 500 air purifier is also a pretty loud machine when compared to others we reviewed. Our Vornado AC 500 review showed that it avails of charcoal pre-filters, HEPA filters and a fan to purify your air. Despite the fact that it is designed for small spaces, it is a loud machine. Vornado AC 500 is rated to operate in rooms up to 318 feet but this model has some of the lowest CADR scores out of all the ones we reviewed. It won’t effectively remove elements from the air that other machines do. This Vornado AC 500 air purifier will change the air in your room three times every hour. One of the good aspects of the Vornado AC 500 review is the fact that is will detect the amount of pollutants in the air of your room using a special auto mode. This will maximise its performance and ensure you have an efficient machine. Using this setting the Vornado AC 500 will run on a lower operation setting if there are not any pollutants in the air. One of the very good settings on the device is the fact that it is operational in a sleep mode also which will allow the machine to operate well during nighttime hours and ensuring you have a restful sleep in a room with clean air. The Vornado AC 500 air purifier doesn’t feature an ionizer but owing to the fact that this setting would produce levels of ozone, is not the worst thing to lack. Our Vornado AC 500 review were disappointed by the fact that it is a noisier machine than other models in our review list. The machine will emit up to 69 dB where the average is around 60db. It can be a machine that is slightly annoying. You will also notice that this machine uses a little bit more in terms of energy than other models out there. During our testing period the machine used 158 watts in comparison to an average of 92 watts. It also doesn’t offer the handy setting of an operational timer which would allow you to programme the machine to kick into operation at times of your choosing. There is also no remote control offered with the machine. While the machine is ARB certified it is not featuring an Energy Star rating or is AHAM certified. When it comes to customer service this machine is strong. You get a five-year warranty which is one of the best out there. You also have the option to download a user manual online and will have any questions you might have answered on an FAQ section on the company’s website. You also have the option to contact customer care directly via email, live chat or by phone. This is a machine that will give you good air purification particularly if you are using the device in small to medium rooms. It is, however quite a loud model and can be somewhat of a distraction in your home. The machine offers excellent customer service options and a very strong 5-year warranty. The extra settings offered are notable but the fact that it lacks certain ratings that others do have. Fortunately, the auto mode monitors the air and adjusts the fan speed for you, meaning you don’t have to babysit the machine. To help you make the best decision possible on which air purifier you install in your home, we’ve thrown together an in-depth FAQs section below where we answer some of the questions that may be on your mind. We highly recommend that you give it a read before committing to a purchase. Why invest in an air purifier? Air purifiers are effective at vastly improving air quality in your home, removing tiny airborne pollutants, making the air healthier for you and your loved ones to breathe. How do I know that I need an air purifier? We advise taking stock of any factors that might affect the air quality of your home, such as mold, and other local sources of pollution, and note any changes in health when you move from one in environment to another. Additionally, if you suspect that the air quality of your home is affecting your health, we advise contacting your physician at your earliest convenience for a check-up. Local pollutants we would class as significant enough to affect your home’s air quality include tobacco smoke, fumes from cleaning products, mold, and pet hair. Additionally, damp and lack of proper ventilation will also impact air quality. Place your air purifier in the room where you spend the most time. People frequently install air purifiers in their bedrooms for this reason. A pro tip on choosing a location for your purifier, try to go for a purifier that is either light, or stands on caster wheels so the location can be changed easily. This way you won’t be forced to choose one location for a stationary purifier. What kinds of filters are built into air purifiers? The three most common filters built-into air purifiers are Pre-Filters, Carbon Filters, and HEPA Filters. Your purifiers Pre-Filter is trap large airborne particulates, preventing them from getting into other filters and potentially causing damage to the finer, more expensive filters. The primary benefit of having a pre-filter is that it means other filters do not require cleaning as often. Carbon Filters trap odors and chemicals by using activated carbon. This filter is great for removing cigarette smoke and pet odors from the air, among other things. Finally, we have the star of the entire system; the HEPA filter. These filters will effectively remove 99.97% of airborne particles down to a minuscule size of 0.3 microns. Additionally, there are actually filters on the market today that are even more effective, capturing particles down to a size of 0.1 microns. How often should I clean / maintain my air purifier? This will vary from unit to unit, however the majority of purifiers will require their filters cleaned frequently, and be changed after six to eight months depending on usage. However, there are filters that are permanent fixtures that will not require changing. Many purifiers nowadays actually include filter indicator lights to let you know when a filter needs replacing, or cleaning. Our advice? When you see the filter indicator, act immediately, as the purifier will not operate efficiently with a dirty filter. What will happen if I don’t clean / maintain my filter? If you do not clean or maintain your purifier’s filters, efficient operation will not be possible. We advise reading the user manual and changing filters as required. This depends on how advanced the filter is, and how much of an area it will be catering to, with prices typically in the range of $200 and up, even reaching over $500 for the more advanced units. There are cheaper purifiers on the market, however a lot of them are not very effective. For how long will I need to run my air purifier? We recommend running your purifier continuously where possible, for best results. Many purifiers have varying air cleaning speeds to facilitate this kind of use while also saving energy. How can I tell what air purifier is best for me? In order to find the ideal air purifier for you, you need to take into consideration the CADR rating, added features, square footage, controls, and how often you will have to replace your filters. The CADR of an air purifier refers to its Clean Air Delivery Rate, which is measured by AHAM, and clearly states the volume of clean air delivered by the unit. The CADR is provided through three separate figures, each relating to a measurement, these being pollen, smoke, and dust. The higher your purifiers CADR, the better it is at actually cleaning the air in your home. What kind of purifier is best for pet dander? If you’re looking to combat pet dander specifically, we recommend going with an air purifier that incorporate HEPA filters, which are highly effective at catching pet dander particulates, and activated carbon filters for eliminating odor. What kind of purifier will be most effective for people with asthma or allergies? If you suffer from asthma or allergies, you need an air purifier that is great at proper air filtration. This means you may want to consider an air purifier that utilises HEPA filtration. Additionally, if you suffer from asthma, stay a way from ionizing air purifiers, as these can emit trace amounts of Ozone, which can worsen respiratory condition symptoms. Most of the ionizing purifiers do not actually produce enough Ozone to be genuinely harmful or dangerous, however it is worth taking the precaution to invest in a different kind of purifier. What does CFM & ACH mean? CFM stands for cubic feet per minute, while ACH stands for air changes per hour. The CFM of an air purifier refers to how many cubic feet of air are pumped through the unit per minute, whereas the ACH refers to how many times all of the air in the room is passed through the unit in an hour. Summing up our review of the best air purifiers available on the market today, our advice would be to check out our FAQs above which will serve as guide so you can figure out what to prioritise in your air purifier. Once finished, move onto our list of the top air purifier products on the market at the beginning of our review, where you’ll be able to find the right unit for you in no time. The Coway AP1512HH is an excellent air purifier for my office. It’s small, so doesn’t get in the way, very quite, and incredibly easy to move around. The Coway AP1512HH is an excellent air purifier for my medium-sized office. It’s small and quiet and very easy to move around.